No bolder statement could be made about God’s involvement in history than that of an angel delivering a historical record full of interactions with God—including the stunning account of the divine and risen Lord Jesus Christ ministering personally to the Nephites (see 3 Nephi 11–27).10 Perhaps most relevant of all, the coming forth of the Book of Mormon launched a new beginning—the dawning of a day when the heavens are opened again. 1. It is also the fall equinox, which some have argued is evidence of “magical” influence on Joseph Smith. See D. Michael Quinn, Early Mormonism and the Magic World View, revised and enlarged edition (Salt Lake City, UT: Signature Books, 1998), 141–144; Dan Vogel, Joseph Smith: The Making of a Prophet (Salt Lake City, UT: Signature Books, 2004), 43. Joseph Smith was involved in treasure seeking and other “magical” practices, and perhaps saw significance in this timing. Mark Ashurst-McGee, “Moroni as Angel and as Treasure Guardian,” FARMS Review 18, no. 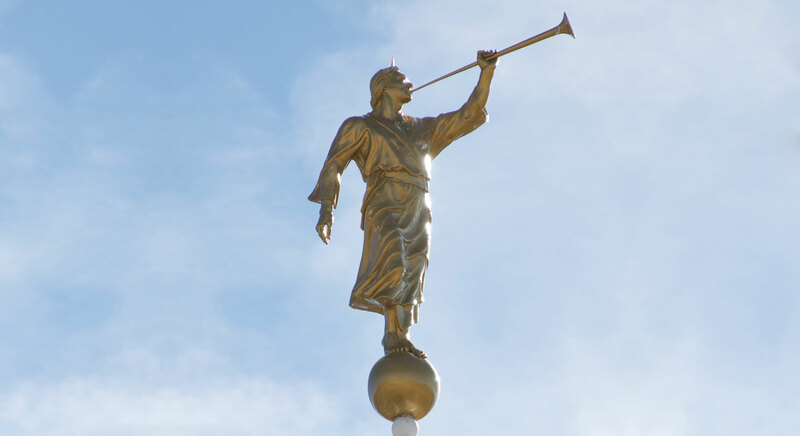 1 (2006): 34–100 suggests that Joseph Smith’s understanding of Moroni and his mission likely included elements of the “treasure guardian lore,” while still recognizing that Moroni was a divine messenger from the Lord. Yet Ashurst-McGee felt the connection to treasure seeking and the timing of Moroni’s visits has been overstated (see pp. 92–94). On Joseph Smith and treasure digging/“magic”, see Richard Lyman Bushman, “Joseph Smith and Money Digging,” in A Reason for Faith: Navigating LDS Doctrine and Church History, ed. Laure Harris Hales (Salt Lake City and Provo, UT: Deseret Book and Relious Studies Center, Brigham Young University, 2016), 1–5; Brant A. Gardner, The Gift and Power: Translating the Book of Mormon (Salt Lake City, UT: Greg Kofford Books, 2011), 3–134. 3. See Book of Mormon Central, “Did Jacob Refer to Ancient Israelite Autumn Festivals? (2 Nephi 6:4),” KnoWhy 32 (February 12, 2016); Book of Mormon Central, “Why Did the Nephites Stay in their Tents During King Benajamin’s Speech? (Mosiah 2:6),” KnoWhy 80 (April 18, 2016). 5. For these and many more, see John W. Welch and J. Gregory Welch, Charting the Book of Mormon: Visual Aids for Personal Study and Teaching (Provo, UT: FARMS, 1999), chart 88, cf. charts 89–91. Also see Terrence L. Szink and John W. Welch, “King Benjamin’s Speech in the Context of Ancient Israelite Festivals,” in King Benjamin’s Speech: “That Ye May Learn Wisdom”, ed. John W. Welch and Stephen D. Ricks (Provo, UT: FARMS, 1998), 160–74. 9. In his initial visit, Moroni warned that many of the prophecies of judgment in the final days are near at hand (Joseph Smith—History 1:27–42, 45). The introduction to LDS editions of the Book of Mormon, hails the Nephite record as a sign “that The Church of Jesus Christ of Latter-day Saints is the Lord’s kingdom once again established on the earth, preparatory to the Second Coming of the Messiah” (Introduction). 10. See Roy A. Prete, “God in History? Nephi’s Answer,” Journal of Book of Mormon Studies 14, no. 2 (2005): 26–37, 71.